Beypore is located in Kozhikode at the mouth of the Chaliyar River. Historically, it has a special place as being one of the prominent ports and fishing harbours, and was also an important trade and maritime centre during the days of the early Arab and Chinese travellers and later the Europeans. Soon after gaining prominence as a port and trade centre, Beypore slowly began to flourish as a centre for shipbuilding, since ships were in great demand merchants from Western Asia. The shipbuilding yard at Beypore port is famous for its traditional construction of the Uru or the Arabian trading vessel. This tradition of shipbuilding is nearly 1,500 years old, and the craftsmanship of the workers here is exceptional. Traditionally, Arabs constitute the major chunk of buyers. They place orders with their specifications and needs. Unlike modern day shipbuilding involving the development of blueprint and machinery to facilitate manufacturing of ships, here, at Beypore everything is conceived in the minds of the shipwrights, who as a team execute the highly intricate woodwork to perfection. It is an amazing aspect if one is to observe the manner in which theUru takes shape with minimum sophistication in production. The entire team observes certain work ethics, of which discipline is the foremost. A visit to this historic place is a must in order to have a close look at some of the deft fingers and alert minds, measuring and fixing different parts of the ship to perfection. 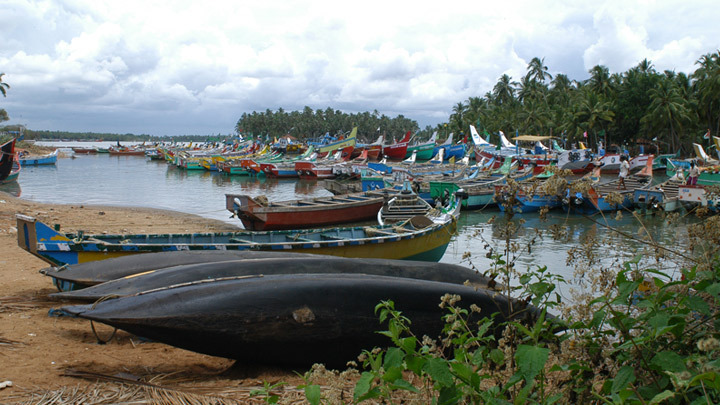 Nearby attractions in Beypore include the fishing harbour, hardly a kilometer from the shipbuilding yard and Kadalundi Bird Sanctuary, which is about 7 km from Beypore. The Kadalundi estuary is considered as a birdwatchers, paradise, due to the variety of local as well as migratory bird life. Migratory birds flock here in large numbers during February-March. The sanctuary is spread over a group of islands in a scenic area surrounded by hillocks where the Kadalundi River flows into the Arabian Sea. The place is locally known as Kadalundi Nagaram. The Beypore Port here is closed on public holidays.